The New Africa: Where do Africa's multimillionaires live? Where do Africa's multimillionaires live? 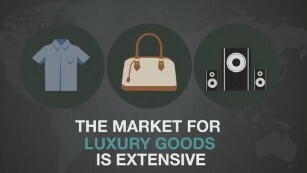 Wealthy Nigerians used to travel abroad to get their fix of luxury goods. However these days, they can take a stroll around Victoria Island, an exclusive neighborhood in Lagos where brands like Porsche, Hugo Boss and Ermenegildo Zegna line the streets. The Nigerian city is among African metropolises which have seen some of the highest growth in the number of millionaires on the continent. Others include Luanda, Dar es Salaam and Accra, which is predicted to nearly double its millionaire count from 800 in 2012 to 1,500 in 2020. If the growth continues, these cities could join an existing club of African wealth hubs hosting the so-called ultra-high net worth individuals, typically those with over $30 million of net assets excluding their primary residence. These centers of affluence are spread from Johannesburg in the south, through Lagos in the west and Nairobi in the east, to Cairo in the north. This emerging class of Africa's new millionaires has been pushing the demand for luxury products across the continent, with sales of high-end products growing by a third between 2008 and 2013. However, they are no longer concentrated in southern Africa, traditionally the wealthiest part of the continent. Nigeria is now one of the fastest growing markets for French Champagne and digital televisionsaccording to a report by Deloitte, and in 2013 LVMH's seven Nigerian branches outsold its 600 South African stores. "Africa is one of the fastest growing regions in terms of middle class," says Fflur Roberts, head of luxury atEuromonitor, a market research provider. "It's due to a mix of rising incomes, rising population but also growth slowing in other emerging markets." Luxury brands tend to enter country markets through distributors, benefiting from local knowledge of their partners but still retaining a significant amount of control over how their name is marketed in that country. "Getting a new brand in a new market where they don't fully understand the operating environment would be very dangerous for that brand," explains Roberts. She warns that in spite of potential, the future of luxury in Africa is dependent on reforms taking place: "It will rely on infrastructure and the operating environment such as security and how trading is done," she says. When it comes to what they choose to splash their cash on, Africa's rich like to stick to well-known global labels that carry an automatic badge of status. "Generally the brands they buy will be more ostentatious compared to somebody in the more developed, mature markets. It's going to be the Louis Vuitton, the Gucci, the Prada," says Roberts. She adds that this could be down to the fact that typical a luxury consumer in Africa is much younger than those in mature markets such as Western Europe, who tend to be in their 50s and 60s. "They are in their late twenties or thirties so it's very much new wealth, and they will be looking towards luxury as a means of showing status and success," says Roberts. However, in spite of mainstream brand's dominance, smaller home-grown labels also see the growth in appetite for luxury goods as a valuable opportunity. "Africa has all the foundations that are needed to create a real vibrant luxury industry," says Swaady Martin Leke, Ivorian entrepreneur and founder of the Johannesburg-based luxury tea brand Yswara. "We have the craftsmanship, we have the heritage, we have a very rich culture that doesn't date just 20 years, but centuries, thousands and thousands of years of know-how and craftsmanship. So here is this continent where you have all the raw material and the know-how, but what is missing is the link to luxury. "Now is the time and you need to start positioning yourself, because Africa is getting richer, that's for sure," she adds.